If you or a loved one had a brush with cancer (or maybe some other equally delightful disease), it wouldn’t surprise me if you have become a bit of a research nerd. 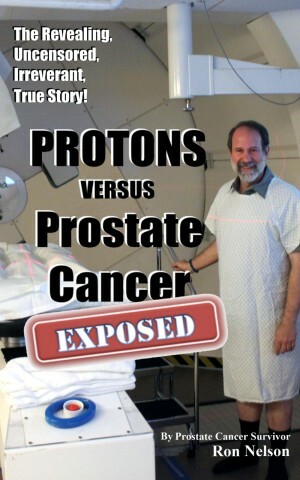 My favorite area of inquiry is currently prostate cancer, which paid me a visit in 2010. Along with our diagnosis, we often also become the designated disease guru among our family and friends. For them as well as for ourselves, you and I have been tasked with doing the digging for what’s good, what’s bad, what’s true, what’s false, and just about everything and anything regarding new developments for our respective diseases. It’s our new job. Well, you may know that I am I was an I.T. guy in my former life before retiring. But I still know a few tricks about online searching you might find useful. So for this blog post I will resume my former role and become a cancer-surviving-IT-guy sharing some secrets of search. I will resume my former role and become a cancer-surviving-IT-guy sharing some secrets of search. I’m going to use Google for my examples, not because I have two family members who work there, but because I use it and you probably do, too. Also, it’s really good. However, be aware that for a variety of reasons—account configuration, etc.—Google might have a different appearance or different options for you than for me. That’s okay. It should be similar enough that you can figure out how to apply these tips despite any differences. You already know the basics: type your keywords into the search bar, see what shakes out, and then refine your keywords for hopefully better results. But that’s not always enough, and there are a few very simple tricks and techniques that can be more effective. Precede any keyword with a dash and your search results will attempt to omit sites containing that word. This is like using “un-keywords.” Precede any keyword with a dash (a space before, but no space after the dash), and your search results will attempt to omit sites containing that word. If you search for cancer studies your results may include numerous unwanted listings for clinical trials. To eliminate those, search for cancer studies -trials instead. Your list will then be more directly focused on studies, not clinical trials. Search for virus detection and you may see a lot of results for finding computer viruses. Instead, try virus detection -computer or even virus detection -computer -software and your refined results will include more health/medical links. Even if a website doesn’t offer a site-based search tool, or if you just prefer using good old Google to search a particular site, you can easily restrict your search to any website you want. Search for radiation therapy and you’ll have results from many websites, but to see only what www.cancer.org says, type radiation therapy site:cancer.org instead (no space after the colon). You can even combine the dash and the colon. Maybe your search shows too many entries from www.cancer.org and you want to eliminate those. 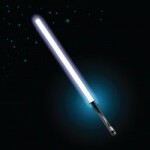 Easy enough: type radiation therapy -site:cancer.org . If you’re really a techno-nerd, you can use the asterisk wildcard and eliminate results from cancer.org, cancer.net, cancer.gov … cancer.anything by entering radiation therapy -site:cancer.* . Pretty cool, right? The date filter is buried within the Search tools option. Click that, and you should see a drop-down list initially set for “Any time.” Click to make a different choice to restrict your results to articles published or updated within a recent period. If you’re seeking news rather than general information, search for—you guessed it—news. Click the News option at the top of your Google page. 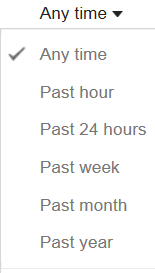 Then enter your keywords, site restrictions, and time frame as above. Are you feeling the power yet? Click Search tools again. Among the search tools you should see an item that probably says Sorted by relevance. If you click that, you’ll see a drop-down list offering the choice to show your news Sorted by date. Choosing that option will display the most recent news at the top of your results. 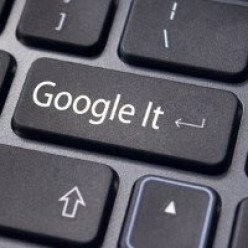 Another way to navigate to Google News is by typing www.news.google.com directly into your browser’s address bar. This will give you some different options you might like. There will be news categories on the left, and a couple drop-down buttons at the top that are self-explanatory. One option that is far from obvious is Advanced Search. To access it, click directly on the drop-down triangle/arrow at the far right end of the search box. You should then see a very detailed list of options allowing you to precisely target the news you want. Yes, it’s another hidden Google gem. Have you heard of Google scholar? This is yet another specialized search area found at http://scholar.google.com/. You will find articles and abstracts from many well-known professional publications there, including The New England Journal of Medicine, The Journal of Clinical Oncology, The Journal of the American Medical Association (JAMA) and others. Some sources may provide only the abstract unless you have a paid subscription, but the abstract itself is often useful. 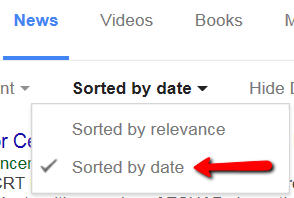 Like Google news, you can click the little arrow at the right end of the search box to access the advanced scholar search options. You might be quite surprised at how different your search results are and pleased with the information you find. Did you know Google will do your research for you and send you an email whenever it finds something of interest? You don’t have to lift a finger. Just tell Google what to search for and how often to email you about it, and you’ll have your own personalized newsfeed—for free. To set up your Google Alerts, go to www.google.com/alerts. If you’re not logged into your Google account or if you don’t have one, you’ll see something like the image below. If you already have an account, log in first. A Google account is not required, but it makes it easier to manage multiple alerts. Start by typing your search keywords in the box. As soon as you start typing you’ll see a place to enter your email address (if you’re not logged in), a button to create the alert, a smaller drop-down list of additional settings including how often you want notifications, and some sample search results. Be sure to set your options before you click the CREATE ALERT button, which should be your final step. Without an actual account, Google will email you to verify or cancel each alert. Unless you verify the request nothing will happen. Each alert you receive will have a link to unsubscribe from future alerts. Google is a moving target. They are continuously experimenting with their user interface, moving things around, adding and removing options, and evolving. It makes our otherwise dull lives exciting, doesn’t it? Google is also not the only show in town. Microsoft would love for you to use Bing, their search engine. Or if you’re concerned about being tracked, try DuckDuckGo, a search engine claiming to save none of your history. Each engine has its own algorithm for determining which websites to include, so you may find something listed by one, while missed by another. Yahoo is still around, ASK is still answering, and even AOL is still breathing. Try them all—there’s nothing to lose. 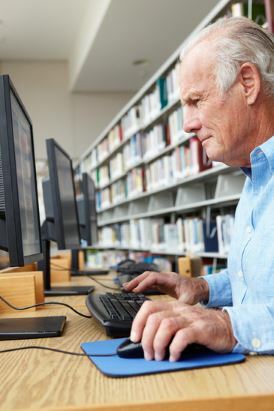 There are search engines and sources specifically for medical research, too. The tag lines and descriptions shown below are theirs, not mine, but they’ll give you an idea of what each site strives to be. I am not endorsing them, and I’m pretty sure they’re not endorsing me. Regardless, here are just a few examples of medical/health research and information sites (not specific to cancer) for your consideration. MedlinePlus – National Institute of Health’s web site … produced by the National Library of Medicine – information about diseases, conditions, and wellness issues in language you can understand. your suggestions and I’ll add them to the list—thanks! The After-Cancer Guide to Answering How Are You?